Let’s figure out the dimensions of cylinders. What is a possible volume for this cylinder if the diameter is 8 cm? Explain your reasoning. The volume $V$ of a cylinder with radius $r$ is given by the formula $V=\pi r^2h$. What does the height of this cylinder have to be? Explain how you know. 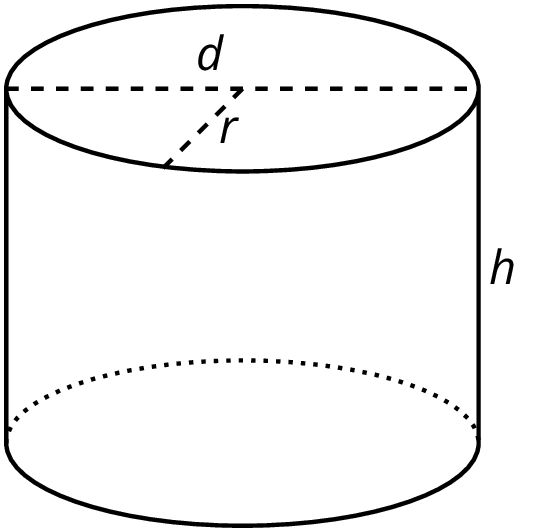 What does the radius of this cylinder have to be? Explain how you know. Suppose a cylinder has a volume of $36\pi$ cubic inches, but it is not the same cylinder as the one you found earlier in this activity. 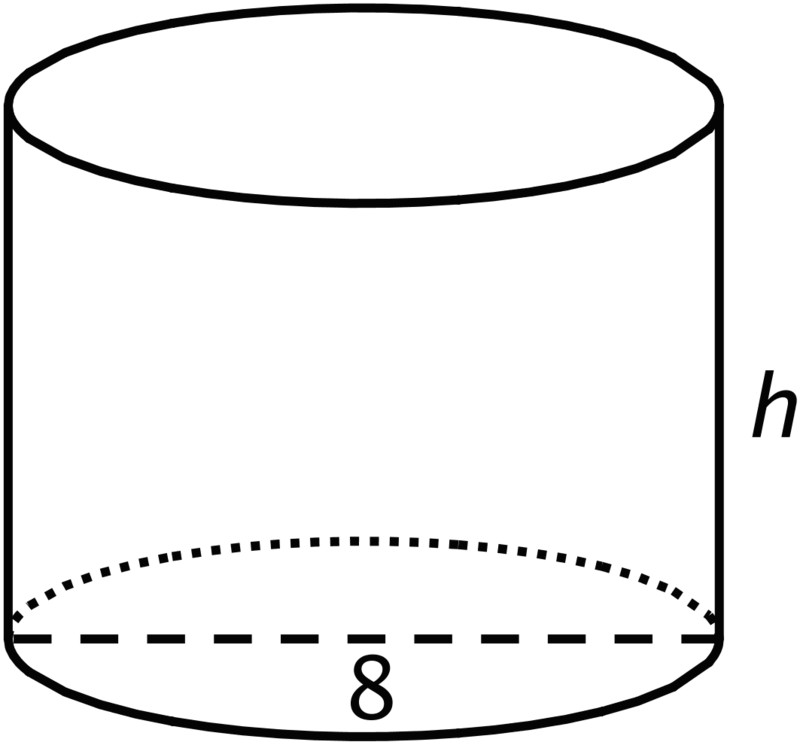 What are some possibilities for the dimensions of the cylinder? How many different cylinders can you find that have a volume of $36\pi$ cubic inches? Each row of the table has information about a particular cylinder. Complete the table with the missing dimensions. We say that the volume depends on the radius and height, and if we know the radius and height, we can find the volume. It is also true that if we know the volume and one dimension (either radius or height), we can find the other dimension. must be true. Looking at the structure of the equation, we can see that $500 = 25h$. That means that the height has to be 20 cm, since $500\div 25 = 20$. must be true. Looking at the structure of this equation, we can see that $r^2 = 100$. So the radius must be 10 cm.